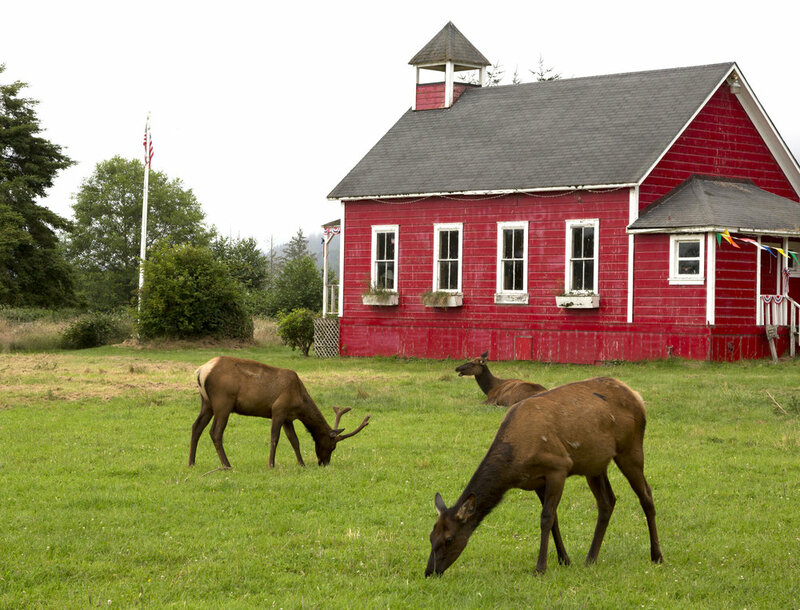 With its prime location between Redwoods National and State Parks and Humboldt Redwoods State Park, Ferndale is the perfect home base for a Northern California redwoods vacation. Whether on a family adventure or romantic escape, it's impossible not be awed by the majesty of the Redwood Coast's ancient-growth coastal giant redwoods - the tallest trees on Earth - and the stunning flora and fauna that surrounds them. One of the top scenic drives in the world, the Avenue of the Giants is a 31-mile stretch of historic Highway 101 that winds right through the heart of Humboldt Redwoods State Park, home to the largest remaining stand of old-growth coast redwoods on Earth. Shaded memorial groves, sunny swimming holes and numerous well-maintained trails allow plenty of opportunities for picnics, hiking, biking, swimming, rafting, kayaking, canoeing and fishing. The Humboldt Redwoods Interpretive & Visitor Center, two miles south of Weott on the Avenue, is an excellent place to stop and gather information about the area, and includes a large natural history museum and the world-famous "Travel Log" display. Other must-sees include Founder's Grove with its fallen 362-foot Dyerville Giant, and the California Federation of Women’s Clubs Hearthstone, designed by renowned architect Julia Morgan. Get up close and personal with some of the tallest trees in the world in Redwoods National Park & State Parks, where a hushed canopy of towering redwoods and other conifers, wild berry bushes and prehistoric ferns feel straight out of a fairy tale. The parks also include vast prairie and oak woodlands, wild riverways, and nearly 40 miles of pristine Pacific coastline, part of California's Lost Coast. North of Ferndale, Prairie Creek Redwoods State Park is famous for its resident Roosevelt Elk and for Fern Canyon, a narrow fern-lined gorge used in filming "The Lost World: Jurassic Park." The Lady Bird Johnson Grove, the best-known grove in Redwood National Park, gives a rare glimpse into a ridge-top redwood forest and its unique mix of understory plants, including colorful rhododendrons and a wide variety of ferns. 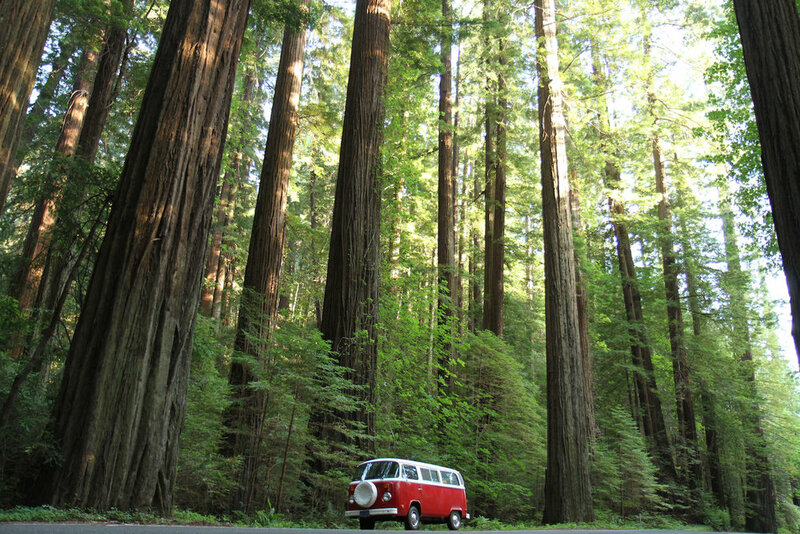 To the south, Humboldt Redwoods State Park includes Rockefeller Grove, home of the legendary Rockefeller Tree, a 362' tall and 13' 6" wide giant, and Founder's Grove, featuring the fallen Dyerville Giant and one of the last remaining drive thru redwood trees, the Shrine Drive Thru Tree.